Awk-ward! Yep, everyone has a case of it this time around. We have the weirdness between Tae Il and Detective Seo, the after effects of the kiss with Dae Gu and Soo Sun (and the rest of the team), Ji Kook’s jealousy of Dae Gu, oh and now the Chief’s secret is out. This episode stepped up a bit from last episodes static–both relationship wise and revelations–which is good because this show is too far along to suffer from a sagging middle now. Okay, so new theory. Up until now we just assumed that the two cases, the murder of Dae Gu’s mother and her testifying in the murder case were connected. But what if they weren’t? What if it just so happened that the two things occurred at the same time? We saw in the past that the president of the company who came to her house to threaten her the first time arrived there with a henchman, that up until now we just assumed was the killer who came later. However, in the flashback this week, we saw that his hat was pulled down low and, most importantly, his collar was pulled up around his ear so his identifying mark, the scar behind his ear, was not seen. But maybe it wasn’t seen because it wasn’t there? I know it seems like a long shot but bear with me. The mother gets caught up in the first crime, her name probably gets publicized in the media as a witness, which allowed the congressman’s daughter to find her. 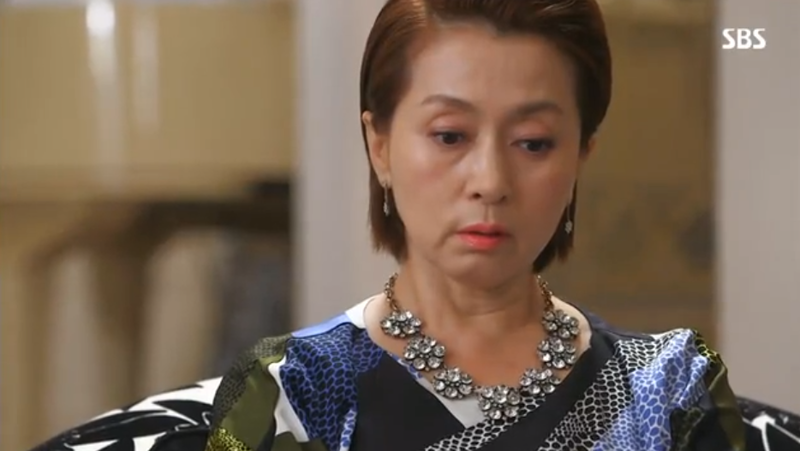 The woman came and found her, they fought (probably over the parentage of Dae Gu), Dae Gu’s mother gets hit by the vase and in the struggle, the congressman’s daughter loses the necklace. She tells her father what she did and about the lost necklace that would be able to identify her and put her on the scene, and her father sends the killer to finish the job and get back the necklace. Since it happened right after she testified in the case, everyone just assumed that the two things are connected. As there are only 4 episodes left, it shouldn’t be too long before all is revealed but if I’m right? I feel like I deserve some sort of reward. This is such a cool way for the writers to trick us watchers while still being believable. The one thing I don’t care for is the fact that they went right to her house to confront her once they realized the necklace was hers. Shouldn’t they have done some investigating first, try to figure out what sort of motive she might have had before showing their hand? Right now all they have is the fact that the necklace is once hers but a simple, “That was stolen,” or “Oh, I lost that a long time ago,” and she’ll be let off. Again. Both of these detectives are too impulsive, I hope this doesn’t backfire on them. Detective Seo now also knows, or has suspicions that it was the Captain who was working with the bad guys back in the past. Since he knows how close Dae Gu and the Captain are, I do kind of understand why he’s choosing to keep the information from Dae Gu, someone has got to tell him the whole truth–that is the only way for him to be safe–and for the rest of them to solve the crime. 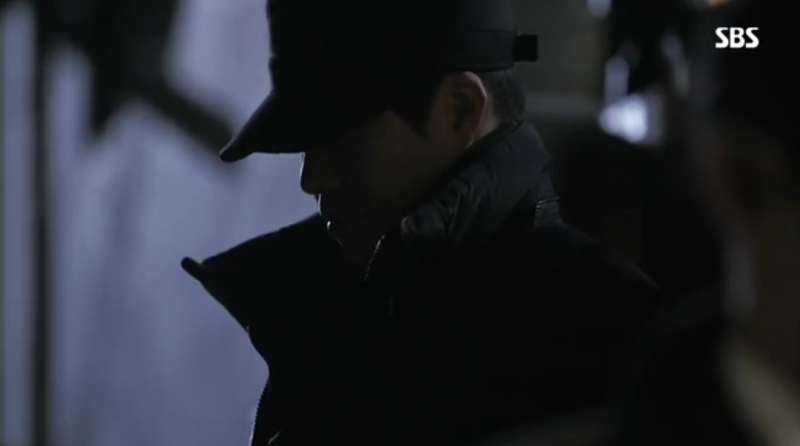 On the other hand though, if Detective Seo had told Dae Gu his suspicions, would Dae Gu have believed him? I’m guessing probably not. Dae Gu is just now beginning to look past his childhood pain and the blame he felt for Detective Seo and is starting to trust him. These new feelings are pretty tentative and if Detective Seo were to point the finger at the one person who Dae Gu believed in? All the progress they’ve made so far would have shattered. I think Dae Gu is just going to have to figure it out for himself. I do like that we were able to have that quiet moment between Detective Seo and Dae Gu where Seo was able to apologize for not being able to protect Dae Gu’s mother. (Isn’t it going to blow his mind if he finds out that it wasn’t because of his case that she died.) The apology was something that not only did Detective Seo need to say, but that Dae Gu needed to hear from him. Now over to the Captain, I think that this was an important episode for her as well. I’m fairly certain we learned her motivation for joining Team Bad back in the past. Here is how I see it. 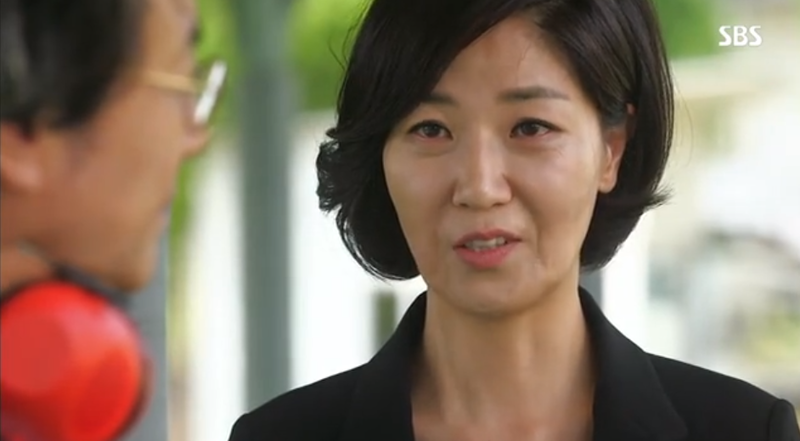 She, we learned back in the beginning episodes, hates how the police is run as they have to kowtow to the prosecutors. Her goal is to have the laws change and have the two branches separate, allowing the police to control the investigation of their own cases. (Remember back at the beginning with the bad prosecutor who kept taking Detective Seo off the case to cart around prisoners just because he didn’t like him? And then when Seo kept investigating, the man put him in jail?) I’m thinking that in the past, the captain (before she was captain) saw that the Congressman (before he was Congressman) was really going to go far in the government so she agreed to back him if he, when he was in power, would do what he could to change the laws. So she feels bad for what she did but thinks it was in the best interest for all. (Which is why she’s protected Dae Gu all these years.) That’s why now she not so subtly threatened the Congressman because he’s not keeping up his side of the bargain. This is an interesting turn of events. I don’t think it excuses her for helping cover up a murder but it certainly puts a bit of a sympathetic spin on it. 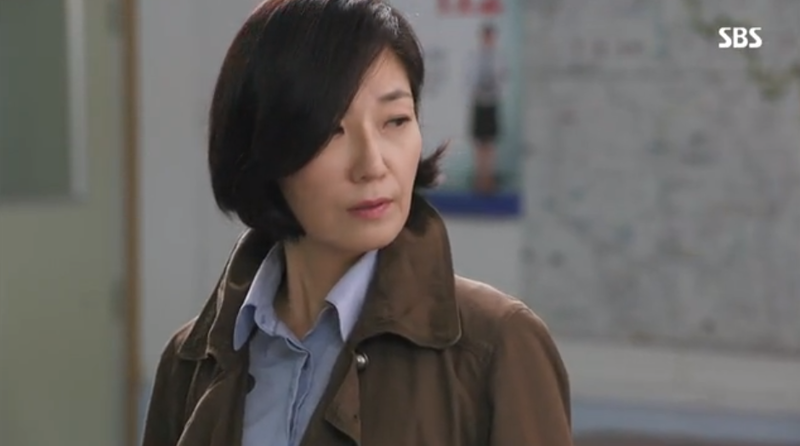 I wonder how she is going to explain all this to Dae Gu. I like to think of her getting her own back, threatening the Congressman, unleashing her claws. She is a strong woman with a lot to lose and I don’t think he realizes that. Shall we move over to our cute bits? They were there. Dae Gu–he likes her, he really likes her! I mean, we all knew he liked her, but now he likes her out loud, in the open. 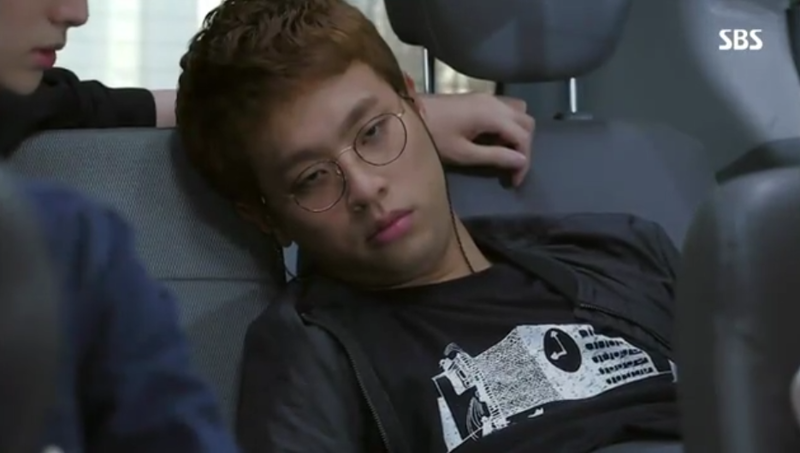 If Soo Sun rejects him and breaks his fragile little heart? I’m going to have some issues with her. I swear I’ll take back all the nice things I’ve said about her all this time. I loved how he admitted to the group that the kiss was not just work, that he did have feelings for her. And then later he approached her again. I’m hoping he’ll be as stubborn about this as he has been with all other aspects of his life. I do understand the awkwardness between them-and Soo Sun’s hesitation. Does she really want to eat the house rabbit? What will that mean for her personally and professionally? It will be hard enough for her to get taken seriously as a woman, but a woman who is dating her partner? That just adds a level of difficulty that she may not want to deal with. Not to mention Dae Gu has had a while to realize his feelings and to reconcile himself to them. Soo Sun has just been welcomed into this party. There may have been a few moments of awareness, but I honestly think she was so focused on becoming a detective, she really only thought of him as her partner–well–her partner and the old guy she used to know. Did he really remember that shifty eyed look? He’d already walked away–and if someone had given me that shifty side-eyed look? I wouldn’t have forgotten. Ji Kook had better keep his nose out of Dae Gu’s and Soo Sun’s romance. And Tae Il really, as a friend, needs to stop encouraging him. If Ji Kook goes off and does one of his hissy fits again because he’s not number one? I’m going to be irritate. 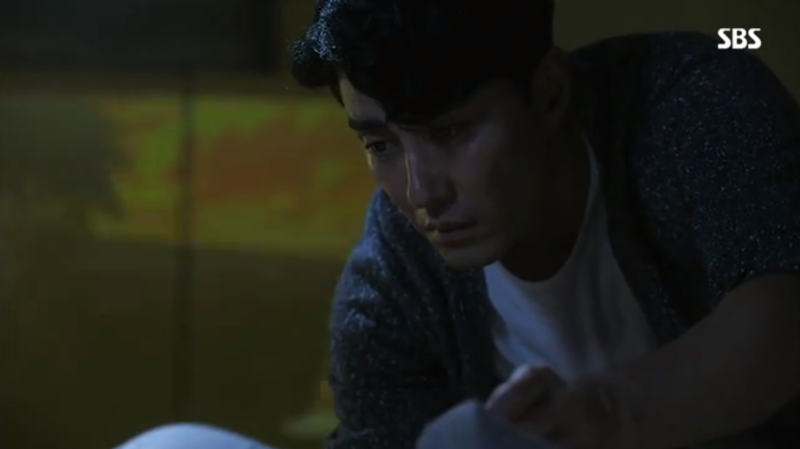 One of my favorite parts of this episode, as he is one of my favorite parts of the show, is the insight into Detective Seo’s partner (I should really learn his name). He’s so happy and up beat all the time, to learn that he has a wife and 4 kids with another on the way? Exactly the life I would want for him to have. Squee level: High! When Dae Gu kept brushing his arm against her, causing her to freeze. You could almost see the electricity run through her! Did he know? Did he keep doing it because it was the one cle that he had that, if she didn’t have feelings for him, she at least was aware of him in that way? SQUEE! The field day was just so much fun! We got to see everyone together, enjoying each others company (even the tool who wants to get everyone in trouble) and we also got to see the new dynamics of the group. 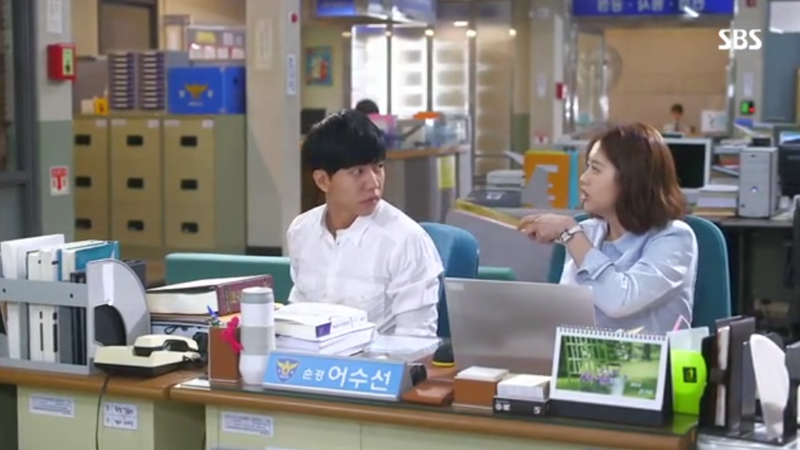 Dae Gu’s jealousy of everyone go gets near Soo Sun, Detective Seo’s jealousy of Tae Il. I wish I worked at a place that did field days!